Numerous community leaders and organizations came together to make the 2015 Poverty Conference a reality. We thank these groups who are leading poverty-relief and educational efforts throughout East Texas and tirelessly serving our community. Buckner has been caring for vulnerable children, families and senior adults in East Texas since 1992. A wide variety of services are offered to the community including programs focused on foster care and adoption, the Family Hope Center, Buckner Westminster Place, Mission Center and Niños de Promesa preschool. Learn more about Buckner . 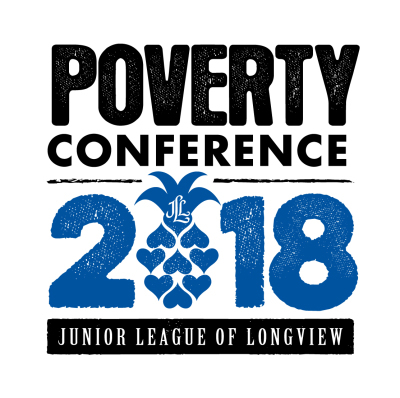 Special thanks to LeTourneau University for being a gracious host and providing beautiful facilities, event space and faculty leadership for the 2015 Poverty Conference. At LeTourneau University, education is personal. LETU is a Christ-centered, interdenominational institute with a strong reputation in STEM fields of science, technology, engineering and math, but LETU offers so much more, including more than 90 undergraduate and graduate degree programs across a range of academic disciplines and delivery models. Students are enrolled in hands-on programs at LETU’s residential campus in Longview, Texas, as well as hybrid and fully online options at educational centers in Dallas and Houston. Learn more about LeTourneau University . Based on a national construct, our local Bridges group looks at poverty through a "triple lens": individual, institutional and Community/Policy focus. Bridges is part of Partners in Prevention . Learn more about Bridges Out of Poverty . The Coaliton coordinates networking and training opportunities to East Texas area nonprofits to increase their effetiveness in meeting the needs of the community. Learn more about the Longview Nonprofit Coalition . Special thanks to Region 7 Education Service Center for being a 2016 Poverty Conference partner. Region 7 is one of 20 regional education service centers in Texas that participates in the planning, development, coordination, implementation and evaluation of innovative educational programs. They are committed to district, charter and student success! Learn more about Region 7 . Located in Longview, Thrive 360 provides the delivery of asset rich programs for children through mentored relationships. Learn more about Thrive 360 . Wellness Pointe is an FTCA Deemed Federally Qualified Health Center (FQHC) and 501(c)3 nonprofit organization. We provide a variety of medical and social support programs to benefit the health of the whole family. If you do not have a primary care physician or would like to change providers, Wellness Pointe is ready to serve your health care needs! We have four convenient locations in Longview, Kilgore, and Gilmer with early morning and evening appointments available to accommodate your busy schedule. For patients without insurance, Wellness Pointe has several programs that may help with payment assistance for medical, dental, counseling and vision services if you qualify. Learn more about Wellness Pointe .